Content Screening: Too much cuteness perhaps? Recommended to: Young readers who love a great protagonist and a bit of old world romance in their reading! Polly Madassa is convinced she was born for a more romantic time. A time when Elizabeth Bennet and Anne of Green Gables walked along the moors and beaches of the beautiful land, a time where a distinguished gentleman called upon a lady of quality and true love was born in the locked eyes of two young lovers. But alas, she was not. This, however, does not stop our young heroine from finding romance wherever she can conjure it up. So while Polly is burdened with a summer job of delivering baked goods from her parents bakery (how quaint!) to the people in her small beach town, she finds a way to force…um…encourage romance to blossom. She is determined to bring lovers, young and old, together…whether they want to be or not. In honor of Polly's antiquated way of speaking, I hereby declare her the most winsome character I have ever met. Her obsession with the novels of Jane Austen and Lucy Maud Montgomery falls in step perfectly with my own youth. Reading and re-reading these classic tales, she allows them to inspire the way that she dresses, her mannerisms, and even the way that she talks to others. I was smitten instantly with Polly's personality! She is much different than most of the younger protagonists I have read before. I giggled out loud when she would accidentally switch from her proper English speech to teenage slang in a fit of excitement. Polly is a sweetheart, plain and simple. As a twelve year old girl, of course, Polly has yet to experience love. Instead, all of her notions about the subject come from the books that she so adores. Which would be fine normally. I mean what girl wouldn't want to be caught up in an age of chivalry and romance? However Polly decides that it is her duty to take up matchmaking, allowing those around her to experience the undying love of Elizabeth and Mr.Darcy. 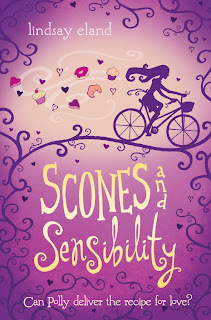 What ensues is so comedic and so sweet, that I literally burst out laughing more than once! Polly's matches end up a little differently than she expects. It falls to our brave, young heroine to put things right. What I really loved about the whole story was the underlying current of friendship. Underneath all the Austen, all the silliness, was a moral about being a good friend. Polly may not end up with the summer of romance that she was anticipating, but she does learn a lot about real love and what it means. It was refreshing to see such a charming young girl grow up so much in such a short number of pages. I dare you to find a more refined and adorable young girl in any other book. Long story short, I adored this book with all my heart. I will, however, admit that it is probably not for everyone. I've seen others peg Polly as annoying, and I can see where that might stem from. You really need to have a love for MG characters and watching them grow up. You also need to be able to take everything she says and does with a smile and a grain of salt. She's young, people. We were all young once. I for one am proud that Polly has her head in the clouds, and hope she continues it as long as she can! We all know that fades when you get older. As I skip off into the distance, my embroidered handkerchief pressed against my bosom, I leave you with one thought. Isn't it time you gave yourself a break from teenage angst and love triangles? If you answered yes, this book is your answer. 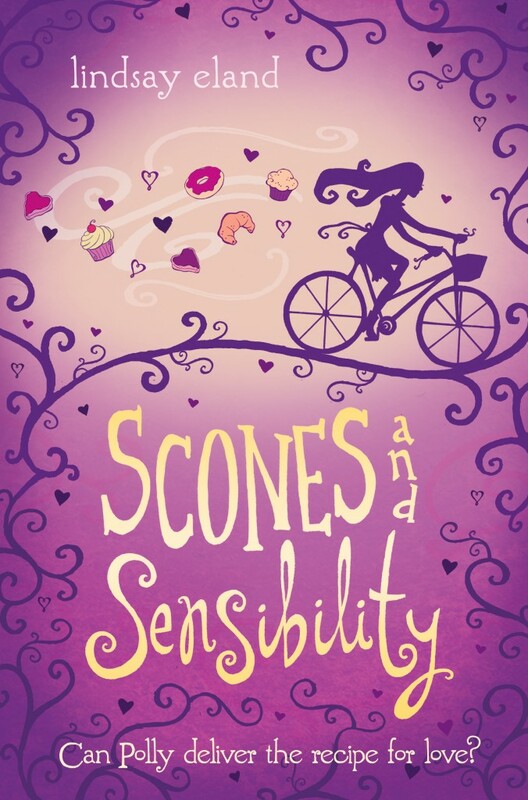 Sweet, a little bit silly, and very charming, this book is sure to sweep you off your feet! Scones not included.